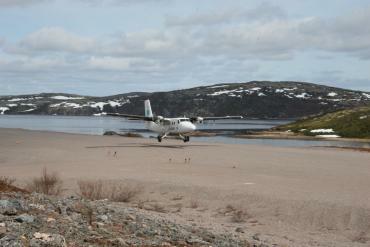 The plane rumbles down the gravel strip and lifts into the cool Labrador air as I watch from the edge of the runway with my camera. Like the snipping of an umbilical cord, when the tires lose contact with the soil an immediate sense of aloneness sweeps over me. Beside the green square box that serves as the air terminal, George Russell is waiting on his four-wheel ATV to give me a ride into the community. I hop on and we descend the dusty hill. 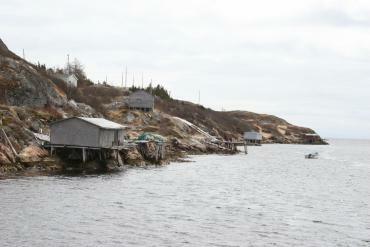 Around a long turn, past the diesel power-generating plant, the tiny town of William's Harbour unfolds in front of us. The grey dirt streets weave around the little houses like a discarded snakeskin. George pulls up next to a bungalow perched neatly on a bald rock. The wind, still cold in early June, whips around us as we hurry inside. "There's not much happening here today," says George, a smile of sarcasm across his face as he goes about organizing the day's mail on his kitchen counter. George is one of two caretakers of the diesel plant, but also doubles as the mailman. "Want a cup of tea?" he asks as he divided up copies of the Northern Pen newspaper and grocery store flyers. I'm in William's Harbour, on the south side of Granby Island, to write a story about the Golden Cod Festival - an annual event that brings the community alive each summer - but I soon realize that the story is deeper and wider than the rare species of fish for which it is named. It's as much about the contrasting emotions of trying to remain in a coastal Labrador community where the population of 17 people is more realistically hovering around 11 or 12 on any given day. 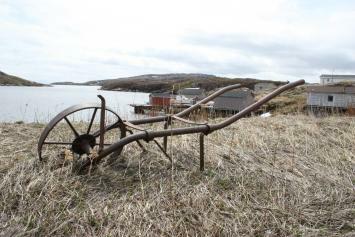 The youngest male resident of William's Harbour is 60 years old, and the youngest wife is about 57. One child remains and she is 18. "It's all old timers here. To haul up a boat or launch a boat here takes you forever because there's no one here to give you a hand anymore," George says. "In a couple of years it'll be a summer town. Every year there's someone taking off for the winter. After a while, if something ever happened to someone in a community there wouldn't be enough people left to put them on a stretcher and bring them up to the plane." George says there's something dismal about living here these days. There is a sadness in him as he watches his community slowly dwindle into oblivion. But it's clear that George is conflicted in his thoughts. His comments go back and forth from how survival is getting more and more difficult, to how peaceful it is and how the closeness to nature is soul-soothing. He says the community is two different places, depending on the season. During the summer, while the ferry is running and the plane is more consistent, people don't get the feeling of being stuck on the island. But in winter, when transportation is at the mercy of the weather, people are trapped. George says the gap in transportation is even wider in recent years because global warming is impacting the tide levels and the frost. "A couple of years back we were caught for 19 days with no plane," he explains. The foggy weather settled in and no one could get in and out. And the hard frost needed to freeze the tide-riddled waters around the island hasn't been coming until later in the winter, which means they couldn't access the mainland by snowmobile like they were used to doing. "If you're going somewhere then, by God, you've got your fingers crossed. The weather might be down and the plane wouldn't get in. The same thing trying to get back." In addition to travel concerns, George says there's not much to stay around for nowadays. The town's only source of income was quashed with the moratorium. The fishery closed and the doors of the fish plant along with it. The island is barren of wood and people now have to get their firewood brought in by ferry. But the rivers are still teeming with char. Sea ducks are as plentiful as ever. There are seals and rabbits to be had. There used to be a dart league in William's Harbour with 40 members. The population peaked at about 105 at one time and the school once housed 40 students. But the school closed last year and the last two students now attend school in Port Hope Simpson. "Right now there's not a big lot to stay around here for," says George. "I'm planning on retiring soon, so I'll only come back here in the summer time. The winters are too harsh here now." He says that a few years back when the idea of resettlement was being bantered about, government was offering $90,000 per household to abandon the community, but only half the people found it an acceptable offer. Hope is not lost. George says that if the government would build a bridge to the mainland and then a short road into the South Labrador Highway, the island could survive. It would be the lifeline needed to allow people in and out at will. Amid the uncertainty of the town's future there is a bright spot; a yellow brick road smattered with footprints of anticipation and expectation. The Golden Cod Festival is a time of renewal, a chance for people to remember the good times and celebrate their attachment to the community. The golden cod has become a symbol for what William's Harbour has meant to those who live there. It's a rare species of fish found only in Gilbert Bay. 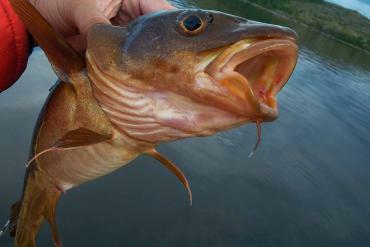 At first glance, it looks identical to the northern cod, except for its golden colour. "You ever see one? Boy, he is golden," says George. "It's a different species according to the scientists that have come down here. They figure they don't often go outside (the mouth of the bay). It's a dandy cod." According to George, even though they didn't call it the golden cod, the fish has been around for as long as he can remember. "We'd be out jigging years ago and if we were ever going to boil up out on the jigging ground, that's the one we would take. They were always fat." He says eventually DFO got wind of how different the fish were and since then, those fish have become off limits. The section of Gilbert Bay where the golden cod exist is now a marine protected area and fishing is forbidden. 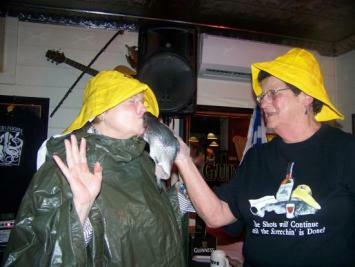 In recognition of the unique fish, the town launched the Golden Cod Festival a decade ago. It started out as a two-day event but has since dropped back to a single day. 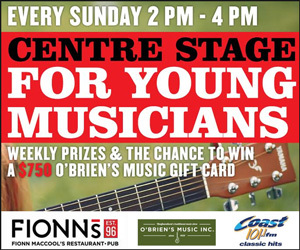 There is live music and dancing, and crafts and food for sale - all an opportunity to raise a few extra dollars to cover the town's operating expenses. It triples the population for a day or two as people pour in from neighbouring communities. But George says the festival, like the community itself, is fading away. "This could be our last year for it by sound of it. You've got to have a lot of volunteers for this stuff and right now there's no one here." As I take the last swallows of my third cup of tea and wind up my conversation with George, I get the sense that the will to face the hardships of living in William's Harbour is slowly breaking down as people get older. As communities around them gradually escape their isolation because of access by new roads, the feeling of desperation grows stronger in William's Harbour. It's going quiet in George's cozy living room. He glances at his watch and suggests we head back to the airport because the plane is on its way back for me. As we mount the quad and head back over the winding street, I realize the aloneness I had felt earlier has been replaced by serenity. There is an inexplicable peace and relaxation surrounding the community, even in the dusk of its probable demise. At the airport we meet up with Alton Russell (pictured below), the 65-year-old airport maintenance worker. I chat with him while waiting for the plane, and get the same message I'd gotten from George. Alton tells me a bit about his life: how's he's worked since he was a boy; received Employment Insurance as a 13-year-old fisherman; went back to school to train as a heavy equipment operator; worked away but eventually returned to William's Harbour; and how his wife Margaret would be "smiling from ear to ear," if she could leave for good. "My life is like a dream. It seems so short when you think back," he says almost to himself. After a long pause, he adds, "Some good and some bad. Like a dream." Since printing this story, we have received some interesting feedback via our toll-free submission phone line. Click the following audio files to hear what two individuals from William's Harbour thought of this story. Want to have your voice heard on this issue? Call our toll-free submission phone line at 1-866-640-1999 and leave a message. On September 15, 2010, Lanier Phillips, the Navy's first black sonar technician, was honoured with the U.S. Navy Memorial's Lone Sailor Award  presented to sea service veterans who have excelled with distinction in their civilian careers while upholding the Navy core values of honour, courage and commitment. Phillips is well-known in Newfoundland as a survivor of the Truxton and Pollux sea disaster that occurred off the south coast of the province. In 1942, the ship Phillips was travelling on, the USS Truxton, and another ship, the USS Pollux, ran aground during a storm. Phillips was one of the lucky few to survive the tragedy  but at the time he didnt feel so lucky. 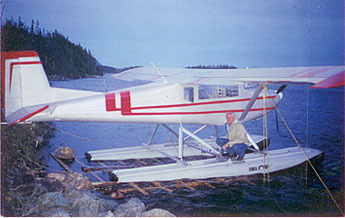 Because of the colour of his skin, Phillips was terrified that those who rescued him would eventually turn against him. Instead, the people of St. Lawrence, Newfoundland treated him with a kindness and compassion that Phillips, accustomed to racism in the Deep South, had never known before. The compassion, instead of repression, that Phillips encountered in St. Lawrence led him to fight against repression later in life, and he eventually marched alongside Dr. Martin Luther King. 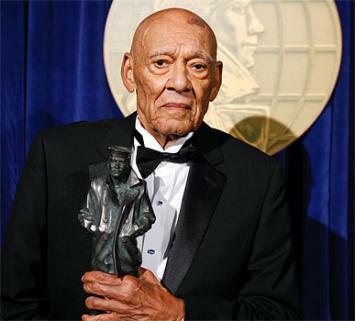 TV's Bill Cosby (Navy veteran) and former football player Eddie LeBaron (World War Two Marine Corps veteran) also received the Lone Sailor Award. Click here to read the Washington Post's account of Phillips' story. For more information about the Lone Sailor Award and its recipients, click here. What do you think of Screech-Ins? We asked that question of our readers as part of a November 2013 print story, and we received phone calls, comments, and mail on the topic. Weve collected some of the responses here. But first, here is what Screech-In Master Keith Vokey of Christian's had to say about the tradition when asked about it by writer Linda Browne for the November 2013 issue of Downhome: DH: Some people think Screech-Ins put Newfoundlanders and Labradorians in a bad light. What do you think about that? KV: I know people feel that way, but I dont. I think the Screech-In is all meant in good fun. Its meant to introduce people to some of the customs and ideas, but its also meant to take a measure of the people coming in from out of the province. For me, its always been about having fun and I never push people beyond their comfort zone. I dont think its presenting us in a negative light at all. It is a little bit of a stereotype for sure, but right at the end you take all those stereotypes and you turn them on their ear. What the people are participating in, what theyre buying into, is not what Newfoundlanders are. I try to make that clear in the presentation of what I do. The responses: We received an unsigned hand-written letter on an index card with no return address. Heres what the anonymous commenter had to say: Re: Screech-ins As a native born Newfoundlander Ive never been to one, but they sound stupid and demeaning. Jamaican rum and codfish as idols! If K.V. has a good sense of humour, why waste it on that  focus on something really interesting and funny. If I as a Newfoundlander find it offensive and dumb, how gross would it be to an outsider? 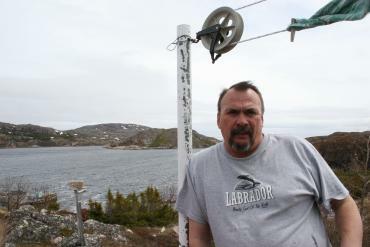 Stop screech-ins and concentrate on good, wholesome, real fun that is natural to Newfoundlanders." Others chose to call our phone line and leave a message. Weve included two of those calls here. 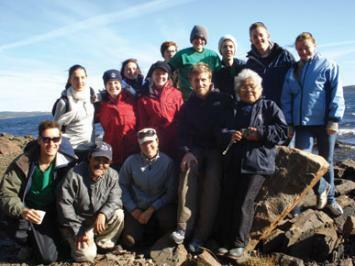 The Inuit community of Rigolet, Labrador and national youth service program Katimavik celebrated the successful completion of their first year-long partnership on August 5, 2010. Katimavik offers youth aged 17-21 an exciting six-month journey of discovery in two or three different regions of Canada. The program is based on the concept of service learning, which integrates both personal and professional development through volunteer work and group life. It focuses on five components: developing leadership skills, official languages proficiency, protecting the environment, cultural discovery and a healthy lifestyle. At the end of the program, each participant will have contributed an average of 900 hours of volunteer work  35 hours a week  for non-profit organizations. Since 1977, more than 28,000 young Canadians have participated in the Katimavik program. The August Katimaversary at Rigolet showcased the community projects accomplished by the youth volunteers, highlighted some of the unique cultural experiences participants received while living in Rigolet and recognized the many efforts of community partners. This is the first year for the Cultural Discovery and Civic Engagement themed program across northern communities in Canada and its success in Rigolet is a testament to the hard work of everyone involved, says Rigolet project leader Kelsey Tonner. It is truly staggering what 50-plus young Canadians can accomplish in a small community when volunteering for a year straight! Rigolet AngajukKâk (mayor) Charlotte Wolfrey states, The Rigolet Inuit Community Government was very impressed with all of the Katimavik volunteers over the past year. The young people that came here embraced our lifestyle, were eager and willing to volunteer, and they left a number of lasting legacies and friendships that will flourish across the many miles of our country. Just a few of the many volunteer initiatives over the course of the year included painting the community church, cleaning up the boardwalk, supporting the Northern Lights Academy breakfast program, contributing to the town recreation programs, creating a homework club and supporting the community seniors group. In the final month of the program, participants erected new flagpoles and a town bulletin board, grassed the community field, constructed community gardens and supported the annual Rigolet Salmon Festival. Highlights of cultural experiences included attending an Inuit Elders Gathering; carving antler rings; trying their hand at grass weaving, moccasin making, drum dancing, Inuktitut and throat singing; tasting local bakeapple and redberry sweets, arctic char, salmon, trout, caribou, moose and seal. In addition, there were a number of one-week or weekend billeting opportunities where volunteers were integrated into the homes and lives of families in the community. Due to the overwhelming success of the project, Katimavik is looking at returning for a second year in Rigolet starting in December 2010.